jasonfsmitty added a comment to T11519: Herald unable to email the owners of a package. jasonfsmitty created T11519: Herald unable to email the owners of a package. jasonfsmitty added a comment to T11335: Undesirable 'push' commits in feed. You can configure the repository track only value to not track refs/meta, which is apparently where gitblit records it's reflog. It's a little concerning that gitblit doesn't host it's own code, instead relying on github. Regardless, I haven't yet found a public gitblit repo that I can point to for reproduction. jasonfsmitty created T11335: Undesirable 'push' commits in feed. jasonfsmitty added a comment to T11333: Inconsistency in task tags. I have not been able to reproduce in phacility, and moving tasks around in our current install works correctly. We require bug reports be reproducible by the reporter under our basic "free support" model. The basic idea is it's better if you spend 1-2 hours than us spending 1-2 days guessing the problem though back and forth questioning. One thing you could do is test a current version of Phabricator with your steps on http://phacility.com with a free test instance. FWIW, there are the transaction logs (via conduit) for a task that was experiencing the issue. For example, 11.9.0 sounds like a Milestone, not a subproject. Is that correct? jasonfsmitty created T11333: Inconsistency in task tags. jasonfsmitty renamed T10734: "Call to a member function getProject() on a non-object" when clicking on a ticket on secure.phabricator.com from I'm getting "Call to a member function getProject() on a non-object" clicking on a ticket on secure.phabricator.com to "Call to a member function getProject() on a non-object" when clicking on a ticket on secure.phabricator.com. jasonfsmitty created T10734: "Call to a member function getProject() on a non-object" when clicking on a ticket on secure.phabricator.com. jasonfsmitty added a comment to T10403: Unable to change default column in workboard. For context, I'm trying to convert some projects over to use milestones. Previously we were just using several independent projects. What I'm trying to do is change the default column in the milestone, so I can bulk move tasks from a workboard column in the 'old' project, and have them land in the right place. jasonfsmitty created T10403: Unable to change default column in workboard. cmmata awarded Community Resources a Like token. jasonfsmitty added a comment to T10307: Option to move child pages when parent in renamed. FWIW, I'm running 2015 week 43.
jasonfsmitty created T10307: Option to move child pages when parent in renamed. jasonfsmitty updated the task description for T9689: unit test failure when auth.email-domains is configured. jasonfsmitty added a comment to D14318: Make all table entries clickable. I opened T9689 for the unit test failures, which appeared to be an issue with having auth.email-domains configured. jasonfsmitty created T9689: unit test failure when auth.email-domains is configured. I don't want to bring any changes to "Reports" usptream; it's basically frozen until it is replaced by Facts (T1562). jasonfsmitty updated the diff for D14318: Make all table entries clickable. jasonfsmitty added a comment to T7848: Allow herald rules to change task status in HeraldManiphestTaskAdapter Actions. I've attached D14359 which is running in our local phab instance and mostly works. While the rule works as intended, the status doesn't want to display properly. I don't expect anyone to accept this as-is, but I thought I'd share as a starting point for anyone who has the time and knowledge to do it The Right Way. jasonfsmitty added a task to D14359: Herald support for changing task status: T7848: Allow herald rules to change task status in HeraldManiphestTaskAdapter Actions. jasonfsmitty added a revision to T7848: Allow herald rules to change task status in HeraldManiphestTaskAdapter Actions: D14359: Herald support for changing task status. jasonfsmitty retitled D14359: Herald support for changing task status from to T7848: herald support for changing task status. jasonfsmitty renamed T9620: Every entry in the Maniphest Report table should be clickable from Maniphest reports should allow clicking on each task number to Every entry in the Maniphest Report table should be clickable. jasonfsmitty added a comment to T9620: Every entry in the Maniphest Report table should be clickable. Attached the patch we're using locally, and seems to do what we want without impacting performance. jasonfsmitty added a task to D14318: Make all table entries clickable: T9620: Every entry in the Maniphest Report table should be clickable. jasonfsmitty added a revision to T9620: Every entry in the Maniphest Report table should be clickable: D14318: Make all table entries clickable. jasonfsmitty created T9620: Every entry in the Maniphest Report table should be clickable. jasonfsmitty edited the content of Organizations Using Phabricator. jasonfsmitty added a comment to T7661: Object creation is often accompanied by transaction records which aren't of much use. I'm experiencing something a little different using a custom select field. 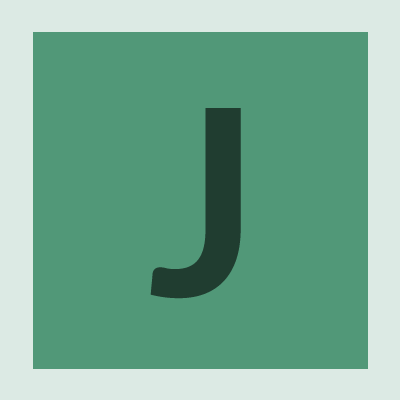 jasonfsmitty added a comment to T5793: Add support for personal workboards. If anyone does this, I'd be interested in feedback on how it goes.